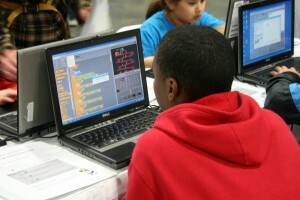 Ten Weeks of National MIT Scratch Coding Competition! 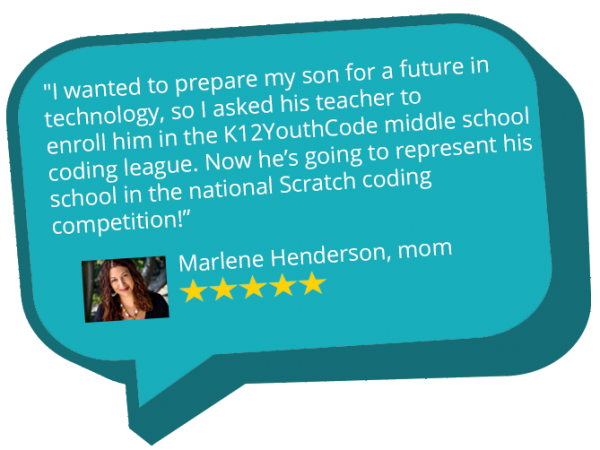 K12 Youth Code is a national Scratch-programming league created for elementary and middle school aged students. 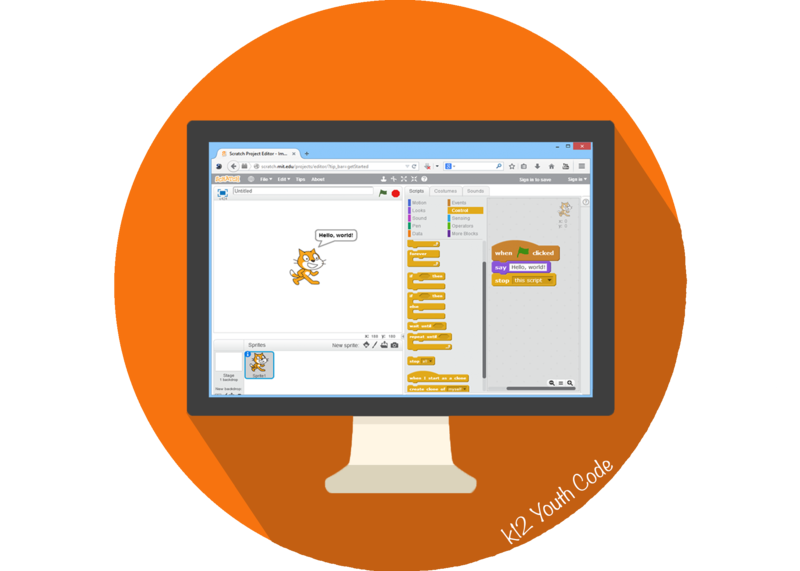 Scratch is a programming language where children can program interactive media such as stories, art, games, animations, and simulations. 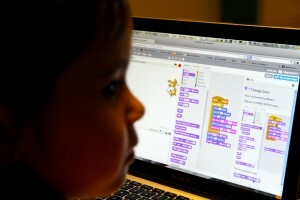 As children create with Scratch, they learn to think creatively, work collaboratively, and reason systematically. "powered on, ready to code!" K12youthcode will issue weekly challenges which integrate school level multidisciplinary and curriculum-based Math, Social Studies and Science concepts. 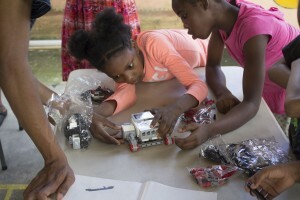 K12youthcode serves as academic enrichment for students while developing problem solving, critical reasoning and design thinking skills required to complete the technical component of each challenge. Click me to view sample challenges! 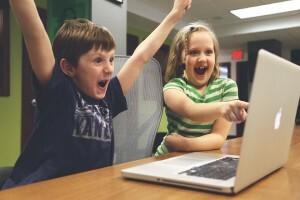 We provide students with the Scratch learning material they need to succeed! Students will be properly guided with tutorial videos as the weekly challenges become increasingly difficult. Watch your students improve their critical thinking and problem solving skills. Sign up this August and give your students an incredible advantage. Prepare Students For The 21st Century! K12 helps to develop students into well-rounded 21st century humans. They will learn the Importance of winning, learning from loss, time management, adaptability, and working under pressure. Sign up today and give your students a significant advantage! Participants will win certificates, flash-drives, robot sets, laptops, swag, and many other fun prizes. Signup this Fall 2018 and expose your students to technology and prepare them for a future of careers in STEM! Students all over the world are learning code logic, problem solving and critical thinking skills using Scratch programming. K12 Youth Code provides a framework for national and international competition for our young scholars.  Students will solve challenges, learn to work within teams, and win fun prizes. The ability to code computer programs is an important part of literacy in today’s society.